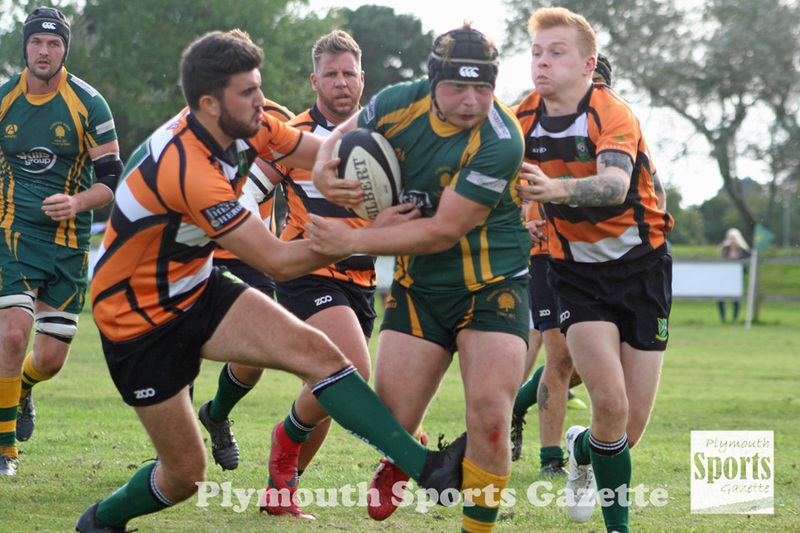 IVYBRIDGE will be looking to keep their play-off hopes alive by becoming only the second team this season to beat already-crowned champions Bournemouth on Saturday. The Bridgers’ defeat to Barnstaple in their last outing leaves them six points off second place with four games to go. Realistically the South Hams club know they will probably need to remain unbeaten for the rest of the campaign to have any hope of snatching second spot and a place in the promotion play-offs. That tough task begins this weekend when runaway leaders Bournemouth visit Cross-in-Hand. The Dorset club were crowned champions two weeks ago after beating Exmouth 41-10. Although they can take life easier now, Ivybridge player-coach Jamie Tripcony does not think they will do. “I would imagine they will want to win rugby games and keep their momentum going,” said Tripcony. 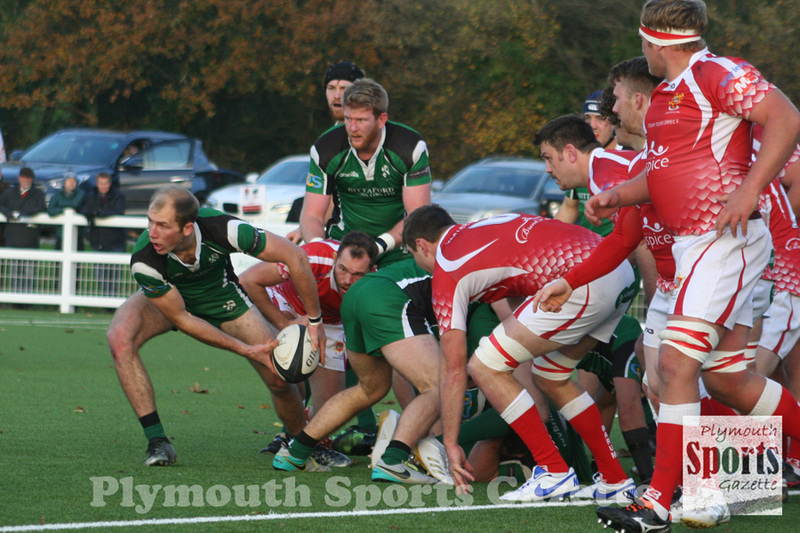 Ivybridge pushed Bournemouth hard away before losing 20-10 in November. “It was pretty close until about the last 15 minutes,” said Tripcony. “They will be a different team to when we played them before – we certainly are. Ivybridge are likely to have a similar side that lost 21-12 to Barnstaple in their last outing. They are still without Devon young back-rower Robin Luscombe, who fractured his ankle playing in a mid-week match with Plymouth Albion’s development team in December. Ivybridge are also likely to be without player-coach Lewis Paterson for the rest of the season due to commitments outside of rugby. After playing Bournemouth this weekend, Ivybridge’s only remaining games with be away to Bracknell, at home to Brixham and away to Camborne. DEVONPORT Services will be aiming to avoid a third successive defeat when they make the trip to the Forest of Dean to take on Lydney in South West One. Fifth-placed Services have narrowly lost 26-22 to promotion-hopefuls Launceston and 15-10 away at Keynsham in their last two fixtures. And Devonport coach Mike Lewis knows his team will face a tough test on Saturday at eighth-placed Lydney, who are renowned for their home form. “Going all the way to them is a tough ask,” said Lewis. “I think them and Newent are our furthest trips in this league. “But it is a great location to play rugby. They have got a great little ground and I think players look forward to going to places like that, especially those that haven’t played them before. I think this is the first time we have played up there. 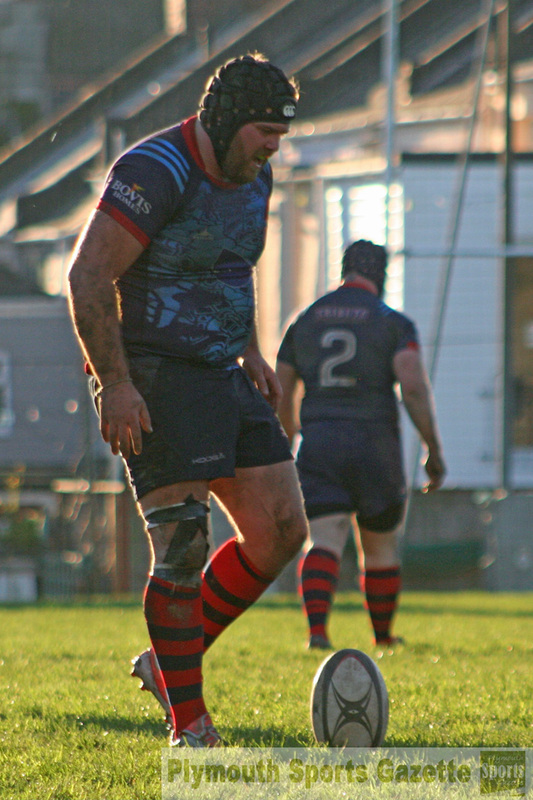 Lydney, who were in the South West Premier last season, narrowly beat Services 20-17 at the Rectory in November. “That is one of just two losses we have suffered at home,” said Lewis. “We lost by just three points. It was one of those games that we finely balanced. Lewis hopes his team can get back to winning ways after two one-score losses as they bid to finish in the top five in their first season in South West One. “If you look at our games I think we have only lost two games – away Cornish All Blacks and Okehampton – by more than score,” said Lewis. “Nearly every time we have lost we have picked up a bonus point or even two. Services are without young centre Jonah Moore, who has gone off travelling, but Richard West and Matty Anstis are both available again after missing last week, while Mark Friend and Kier Murphy are back in contention after injury. However, they are still waiting to see if Royal Navy back Rhys Wiliams will be available. Saltash have a crucial game in Western Counties West when they host Kingsbridge at Moorlands Lane. The Ashes moved out of the relegation zone and up to 10th by beating Falmouth away in their last match two weeks ago. However, just one point separates them from second-from-bottom Truro. If Saltash could win this weekend they would not only boost their hopes of staying up but also drag Kingsbridge into the relegation mix. Kingsbridge are currently ninth, five points ahead of Saltash, after a disappointing season for them after pushing hard last year for a return to South West One. When the sides met just before Christmas in a rearranged match, Saltash won 17-14 and the Cornish club will be hopeful of securing a double over the South Hams outfit. PLYMSTOCK Albion Oaks face possibly their most important game in years when they take on Honiton at Horsham Fields on Saturday in the Cornwall/Devon League. A win would mean Oaks go into their final three games as serious promotion contenders but a defeat would all-but end hopes of sneaking a top two place. Plymstock currently sit in fourth spot, five points behind second-placed Honiton, and four behind third-placed Bude. “Every game is a cup final now,” admitted Plymstock player-coach Aiden Taylor. “If we could get a result on Saturday then we are massively in the running and I think people’s heads will start to turn, but it will be a huge challenge. “In my opinion Honiton are the best team in the league and you see that by how well they are doing in the national cup – they are just one game away from Twickenham. “It will be a massive challenge for us, but we are at home, which is a good thing. Oaks may have only lost four times this season but one of those defeats was a 48-12 defeat at Honiton in November. Taylor believes his team have a point to prove after that heavy loss, which was their first of the season. “I think for us it is about putting right some wrongs from last time,” he said. “We got absolutely bullied at their place and we need to correct that. “I just want a performance. It doesn’t matter too much for me about the result, although obviously we want to win, but the performance comes first. Oaks have a few injury and availability concerns ahead of this weekend’s game. Already without Will Booth, they will also be missing fellow backs Corey Jamieson and Joe Brearley, while the influential Tom Richards is a doubt with nerve damage to his shoulder and back. Tavistock will be hoping to get back to winning ways when they host Lanner at Sandy Park on Saturday. The west Devon club had been on a six-match winning run but that was convincingly ended by Torquay two weeks ago when the Tics triumphed 48-12. Not only do Tavistock want to bounce back from that but they also feel they owe Lanner after losing 10-5 away in November. “We are not taking this fixture lightly,” said Tavistock’s Hammy Kerswill. “Mathematically we are not safe and Lanner need a win to confirm their league status. We also need to revoke the Torquay performance and we owe Lanner one after losing 10-5 away. “The weather looks good so it should be good for viewing on our last VP and sponsors day of the year. Tavistock are able to welcome back Charlie Chalton, Jamie Legg, Ethan Lamerton and Andrew Craddock. Their seconds are also at home when they host Salcombe in the Devon Merit Table. 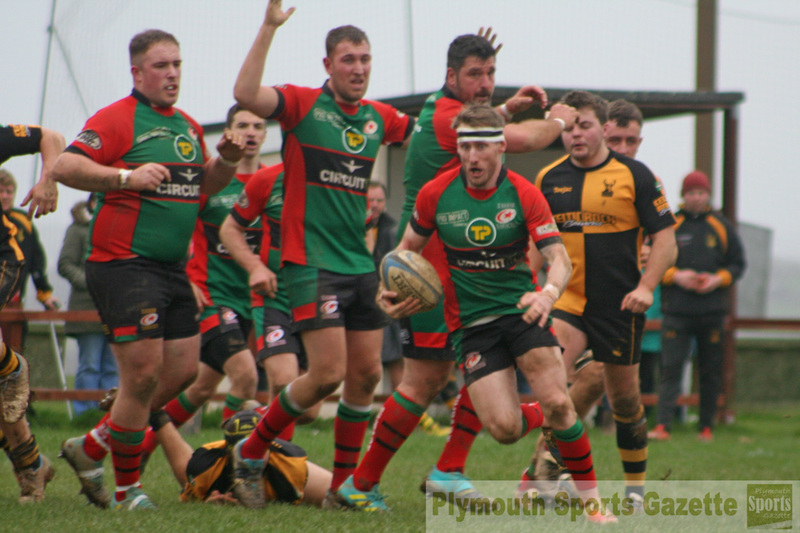 Plymouth Argaum’s relegation from the league looks inevitable and they are once again struggling to get a side out this week for the visit of third-placed Bude. The Roborough-based club have usually found it tough to get players to travel, but this Saturday they are even finding it difficult to get a side to play at Bickleigh Down. “We will get a side out, but it is the same frustration that we have been having all season,” said club secretary Stuart Quarterman. OLD TECHS will be biding to cause an upset when they travel to promotion-chasing Exeter Athletic on Saturday in Devon One. A win this weekend will guarantee Exeter Athletic second spot in the league and a place in the play-offs, where Newquay Hornets or Bodmin will be waiting. Exeter have only lost twice this season, so Techs know they will be up against it on Saturday, especially after losing 36-0 at home to them. “We did not perform too well when we played them at home,” admitted Techs’ Shaun Bedford-Smith. “We are going away from home to the second placed team in the league and so not too many people will be expecting us to get a result, but you never know. “For us it is just about going up there and trying to improve, as we attempt to do every week. 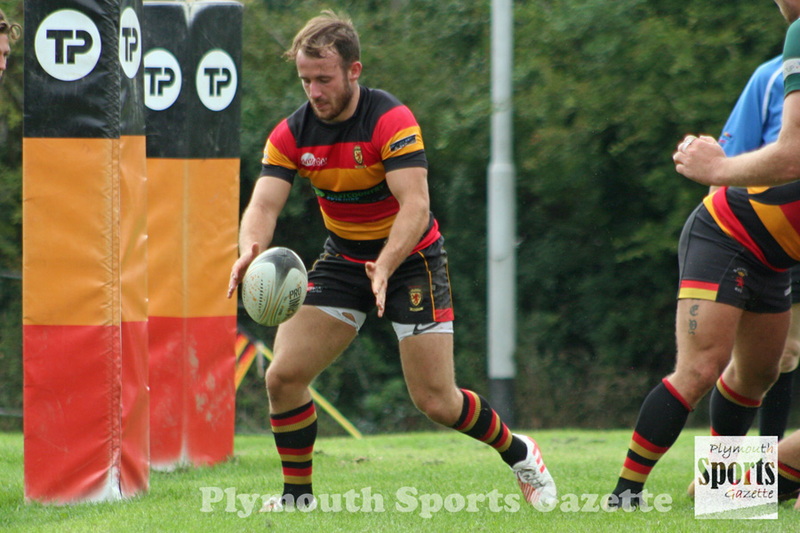 Tamar Saracens will be hoping to stretch their unbeaten run when they host struggling Dartmouth at the Parkway. 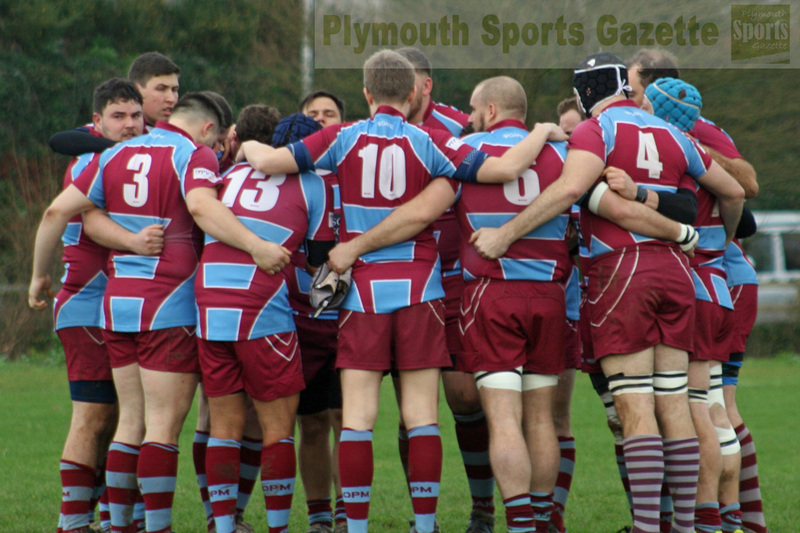 The game was originally scheduled to be played at Dartmouth but as the South Hams club pulled out of travelling to Tamar Saracens in December the fixture is reversed. Dartmouth have struggled on the road this season with player availability but on the few occasions they have had a first choice side out they have proved they can match the best teams in the league. Despite all their problems they have still managed six wins and so Tamar Saracens, unbeaten since December 1, will not be totally sure what to expect on Saturday. “The way we are playing we are looking for another win,” said spokesman Marc Cioffi. “But we can’t afford to underestimate them. Dartmouth’s biggest threat is their pack and particularly their back-row, so we will have to be tight in the forwards. Elsewhere in Devon One, OPMs head to third-placed Exeter Saracens desperate to get back to winning ways. The Old Boys have not tasted a victory yet in 2019 and they want to make sure they do that in one of their remaining three league games of the season. They know they can beat Exeter Saracens as they did it at home on December 8, winning 24-12, in what was their last victory. “We beat them when they came down us, having never played them before,” said OPMs captain Billy Garratt. In the Devon Merit Table, DHSOB are due to host Torquay Athletic II at Stonehouse Creek, while Plympton Victoria entertain Plymstock Albion Oaks II at King George V Playing Fields. 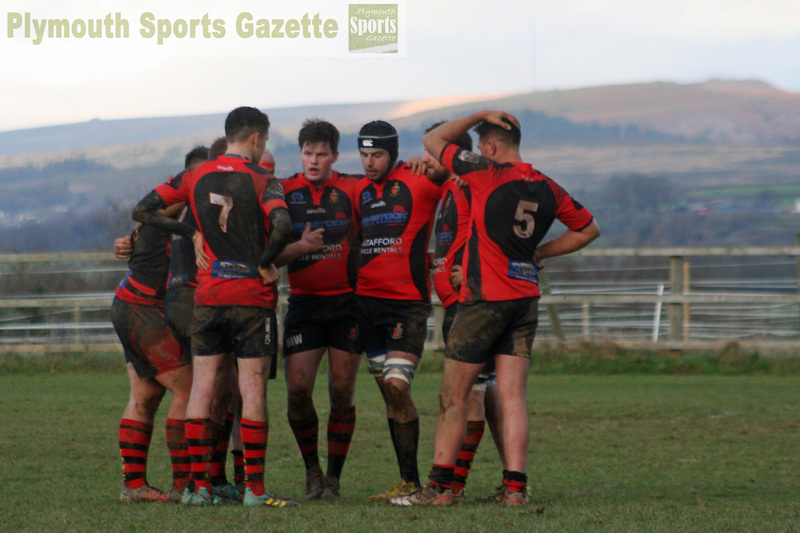 DHSOB will be hoping to have better availability that last week when they were unable to get a full 15 out to play Tamar Saracens in the RNEC Cup. Torquay are second in the table behind leaders Salcombe, while DHSOB are eighth. Sixth-placed Plym Vic could close the gap on fourth-placed Oaks if they were to win. Oaks are currently seven points ahead of Plym Vic but have played two more games. Fifth-placed St Columba & Torpoint should have been playing Plymouth Argaum II away but they have been handed a walkover as, due to unavailabilities in their first team, Argaum cannot get two sides out this weekend.